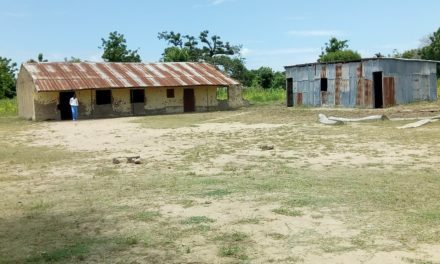 Ninte, a community in Jema’a Local Government Area of Kaduna State have a dilapidated PHC. 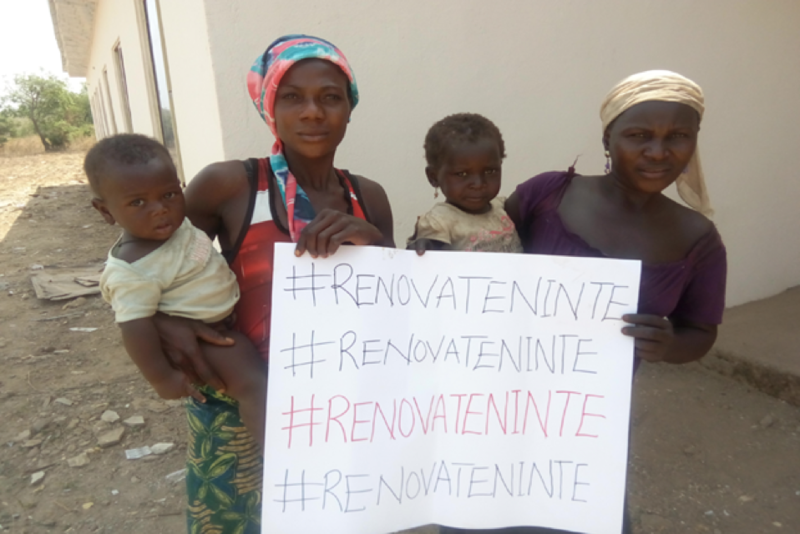 This was ascertained during our preliminary visit to the community when we officially kicked off the #RenovateNinte Campaign. The trip was informed after the Follow The Money data mining team found out on a tender advertisement that the Jama’a LGA Council called for bids on various projects including the renovation of the Ninte PHC for a better healthcare service and outcome in the community. 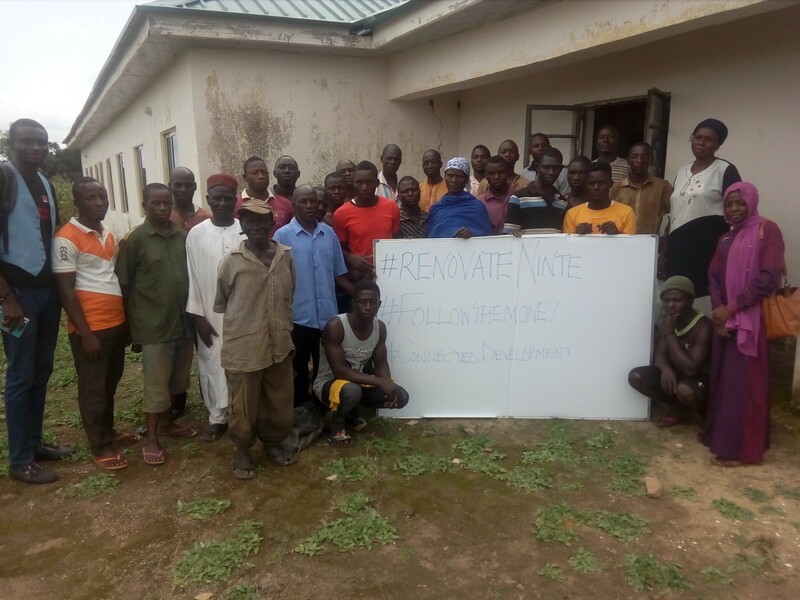 The FTM team is tracking the implementation of the project to ensure accountability, we have initiated the #RenovateNinte campaign to track the implementation of this project. Through this campaign, we call on all concerned stakeholders especially the Jema’a Local Government Area Council to uphold public interest through being accountable and transparent in the usage of the funds that will be released for this project. We implore the general public to get on board with us in following this money to ensure that the project is duly implemented by joining us on http://ifollowthemoney.org. 27/09/2018: The village head secretary called on the government to take action to monitor project implementation and to probe the contractor as he borrowed blocks to build the PHC and he still owes some of the community members that worked for him building the PHC. 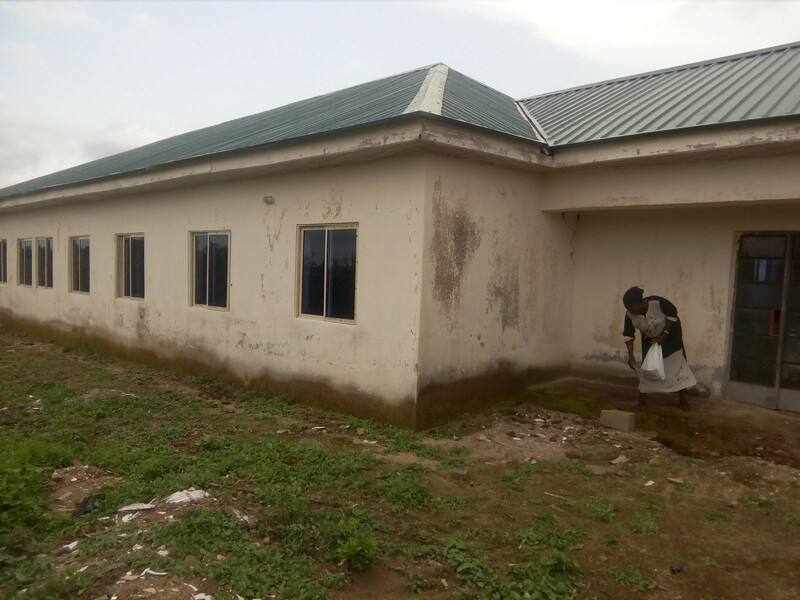 27/09/2018: According to the Head of the PHC, Mrs. Briskila Myela said “The lack of the PHC has compelled the community members to use a small room donated by a community member as a place to receive healthcare. This place is not equipped in any way”. 27/09/2018: According to the youth leader Adamu Habu, “the PHC still lacks equipment like beds and drugs; there is no electricity or water supply; and the paint which I complained of its inferiority during your previous visit, is already washing off”. On the same note, the head of the PHC, Briskila Myela added her voice to the poor quality of work as she pointed out that the windows are of poor quality. 27/09/2018: According to the youth leader Adamu Habu during the follow-up outreach, “the last time any work took place in the PHC was just before the 2018 Kaduna LG elections in June 2018 when some doors were fixed leaving 6 doors that is yet to be brought in to be fixed. Build VIP toilet comprising four toilets and two bathrooms, in December 2017. He claims the materials used in the project are as specified in the BOQ and they meet every standard for quality and safety as would be required for the project. He also promised that the project will be completed in a short while. 08 March 2018: Immediately after the town hall meeting, the Jema’a LGA Chairman called and threatened to have the State Security Service (SSS) pick up the the youth leader of Ninte. 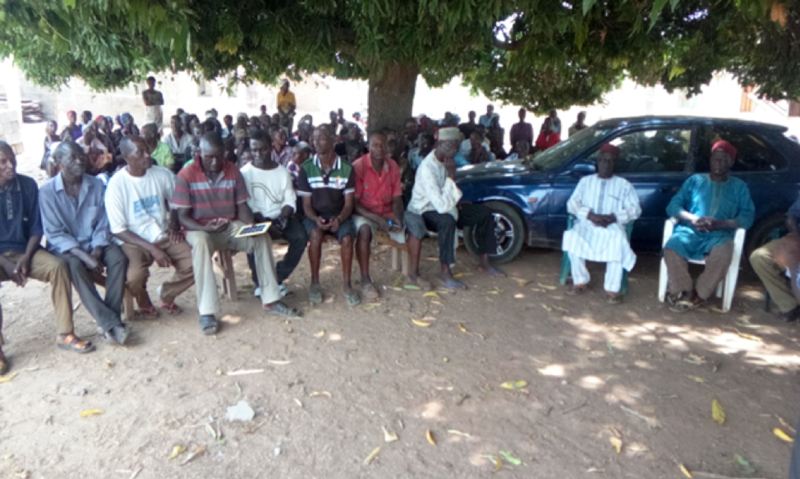 This was as a result of the publications of the town hall meeting outcomes which went viral exposing the red flags uncovered by the community in the course of the project’s implementation. 8 March 2018: Ladi Kagoma who is the assistant women leader of Ninte community complained bitterly about the dangers the pregnant women have to go through especially during labour as they have to travel on bikes on the poor road to Godogodo for medical services. She pleaded that the pace of work should be increased. 8 March 2018: The youth leader, Mr Adamu was infuriated at the quality of work done. He said “The contractors have abandoned the site and we cannot locate them. The paint is of poor quality that could be washed off by rain. The wiring was done with substandard materials and the building could go up in flames ones electricity is passed through the single-phase Distribution Box Unit used in the wiring”. 8 March 2018: Adamu Habu who is the Youth Leader of Ninte community complained about being neglected by the government because they are in the village. 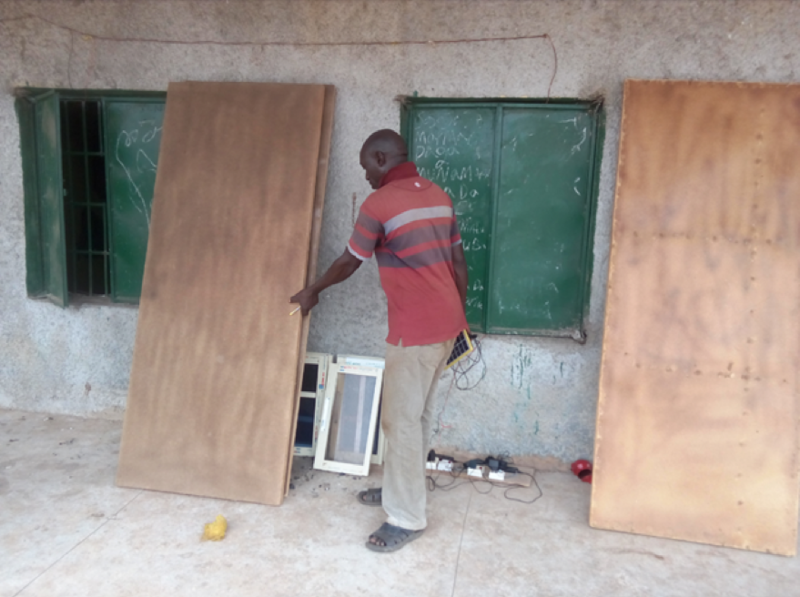 He went on “we are not happy with the work been carried out, the doors they brought are made with ceiling boards and since the doors are of poor quality and there is no burglary proof at the windows, then, there is no security for the PHC which lead the community members to remove the old foams brought by the LGA for the PHC to the military security post for safe-keep”. 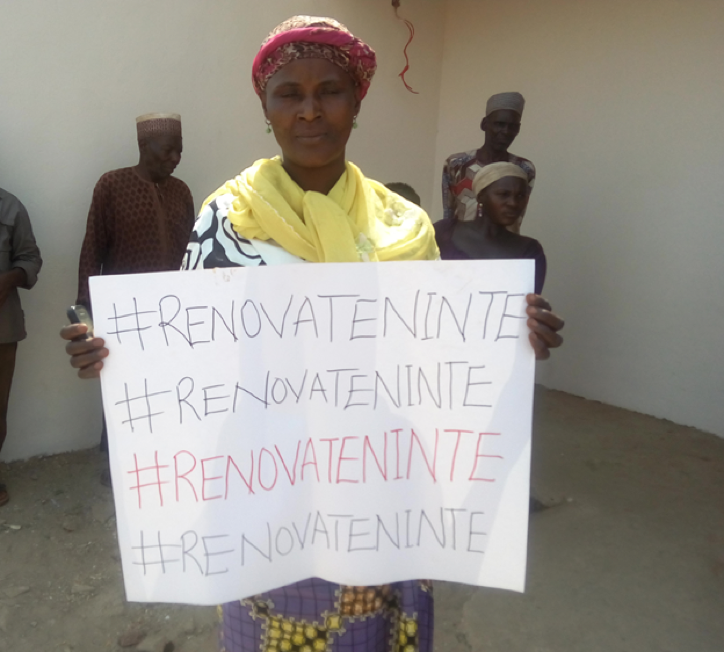 8 March 2018: The village head of Ninte community, Hassan Jatau who was delighted at the PHC been renovated, expressed frustrations at the quality and pace of the work. He spoke in Hausa: “the work is long overdue and it is a big burden to the community travelling a long distance to Godogodo to receive medical attention, the windows lack burglary proof and we are pleading that work should be hastened”. 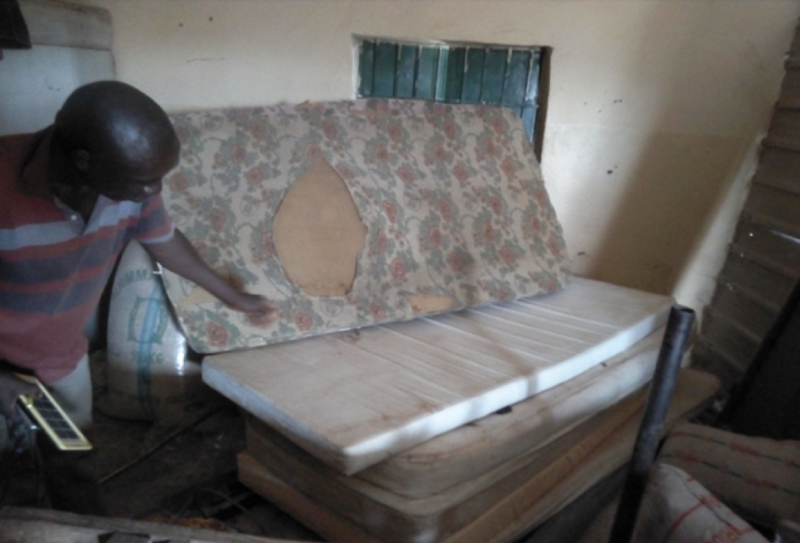 The village head also said he ordered that the community members should not allow the contractor to fix the doors brought in because they were of poor quality made with ceiling board and will not stand the test of time. 8 March 2018: Over 330 participants including the community village head, youth leader, women leader, members of the community and the media were present during the Ninte town hall meeting. The Jema’a LGA representative and the contractor, Seramon-T Concept Ltd were absent despite extending prior invitations to them. The town hall meeting was organized to bring together all relevant stakeholders to discuss the project for better service delivery, improved community ownership, effective public oversight and address any issue that may have come up in the course of implementing this project. 8th February 2018: We sent an FOI to Jema’a LGA Council requesting for post bids’ evaluation details including the specific cost, details of the successful contractor and all contract documents available for the rehabilitation project. Click here to see the FOI Request sent. 8th February 2018: In an interview with the women leader; Mrs Juliana Danlami, she was bitter over the lack of access to PHC in the community. She complained about the stress they have to go through before getting medical attention, especially on maternal and child care. She said “there is so much distance from this village to Godogodo where we have to travel to in order to receive health care” She also said “as the women leader, I am praying that the work should be hastened and all equipment be put in place so that it will ease the stress we are having within the community”, she spoke in Hausa. 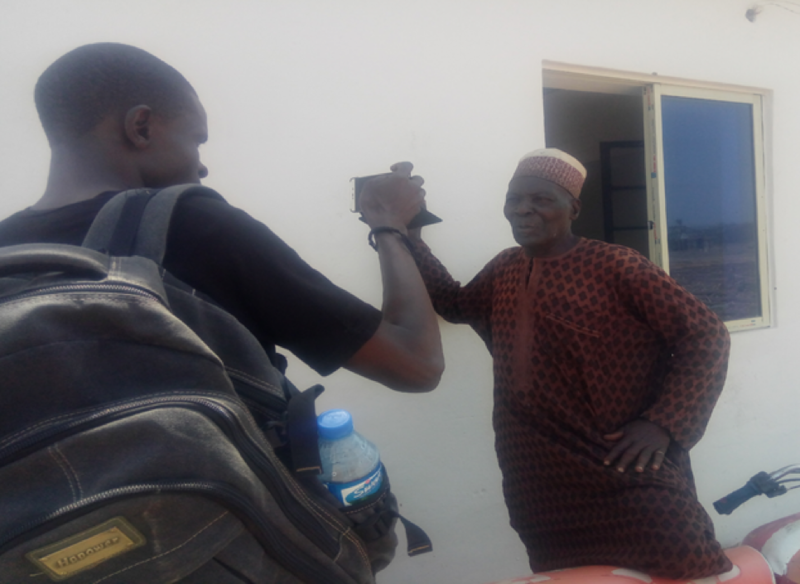 8th February 2018: Speaking with the eighty-seven year old Dakaci of Ninte, Hassan Jatau who is the village head of Ninte community, he spoke in Hausa and told us in his words that, “…upon completion of the PHC project, I expect the PHC to be fully in place so that the community can have access to good health…” he also said “we are equally pleading that the windows should have burglary proof to protect the equipment”. 8th February 2018: As at the time of the outreach, work on the VIP toilet was on-going, the roof has been fixed, the plastering was ongoing, painting has not been done, the cement floor was about to be laid as workers were seen mixing mortar and the doors were yet to be fixed. 8th January 2018: Work on the staff quarters has reached an advanced level as the roof and ceiling have been fixed, the glass windows have been placed, flooring and fixing of the door frames were on-going as at the time of this outreach. 8th February 2018: The Follow the Money Team went for a community outreach to track the renovation of Ninte PHC carried out by Jema’a LGA. Main renovation work on this building is currently on-going as at the time of our visiting. 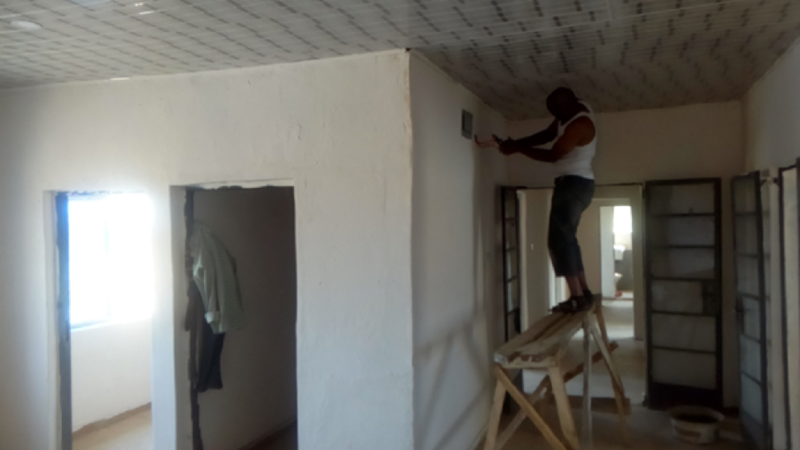 The roof and ceiling have been placed, the building has been painted, the window glasses have been fixed, wiring works were been done, the glasses for the doors are yet to be fixed and some of the floors were yet to be fixed. 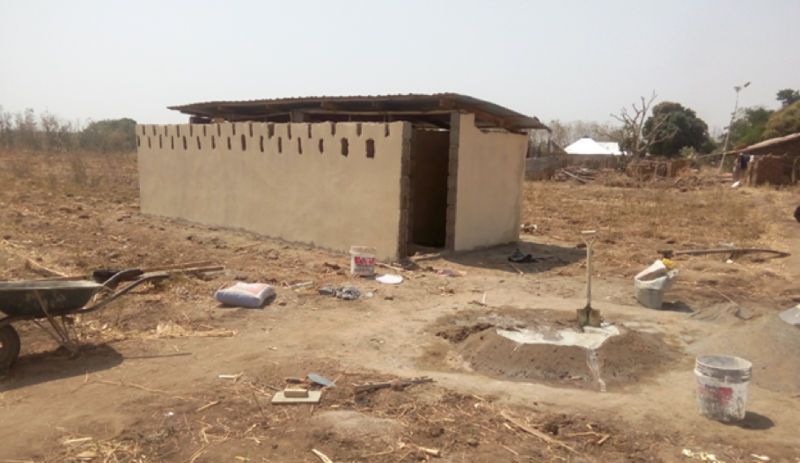 #ConstructIkara: Tracking the Construction of a Block of 2 Classrooms in Ikara Central Primary School, Ikana LGA Kaduna State.